What are the key Building Blocks for Innovation process Design? 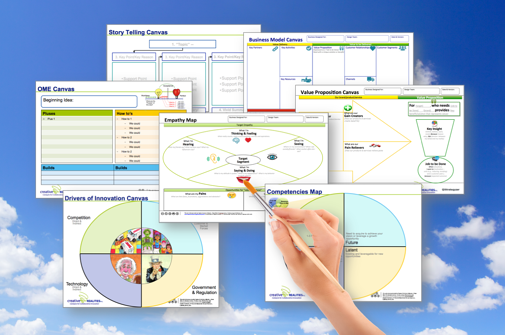 How can maps, models and canvases help? How can we train our people to be more successful Innovators? These tools in our toolkit are designed to answer these questions and help you achieve your innovation goals. 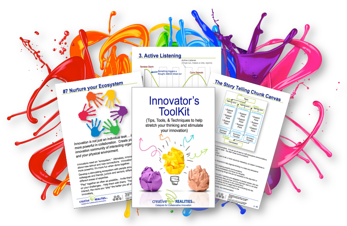 Get your Basic Innovator's ToolKit FREE! Download over 50 pages of our favorite Tips, Tools & Techniques in this handy pdf format that you can print, or load onto your smartphone or tablet... we will keep adding new and helpful favorites to this ToolKit over time!